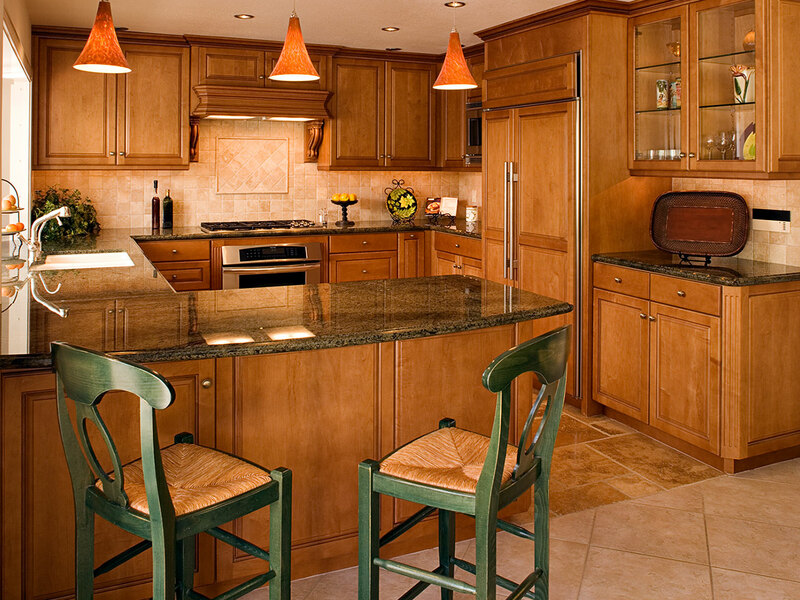 Phil established Kintz Cabinets Custom Woodworking in Orange County, California, in 1987. 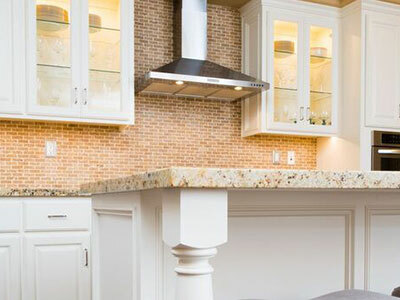 In the thirty-plus years he has been in business, he has earned a reputation in Orange County and the surrounding areas as a craftsman with integrity and a commitment to customer service, quality, function, and attention to detail on every custom project. Phil enjoys working closely with clients, and as such has made a conscious effort to keep his business small. This ensures he is actively involved in all aspects of his clients’ projects, from the initial consultation to final installation. As a result, he has maintained positive relationships with his clients over many years, receiving the bulk of his referrals from friends and family members of previous clientele. 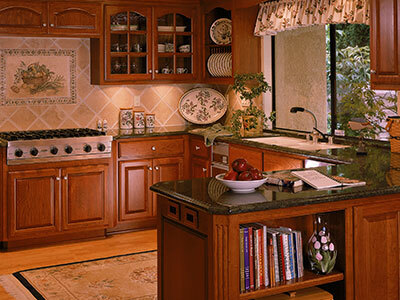 Having completed and built thousands of projects, including cabinets for kitchens, bathrooms, great rooms, china hutches, entertainment centers, home theaters, libraries, home offices, and bars, Phil still finds each project a unique opportunity to not only make your space beautiful but to expertly incorporate the elements of purpose, design, and function. Phil has been married to his wife, Theresa, for more than thirty five years. They still live in their Orange County home where they raised their four children together and where they now get to spend time with their seven granddaughters. After contacting Phil, an initial appointment is scheduled at the job site to determine the size and scope of your project. During this appointment, Phil will answer your questions about performance and completion, note your design requests, and accurately measure the space. Information gathered at this meeting will be used to generate an estimate of project cost. When the estimate is complete, Phil will arrange an appointment with you to meet in-person and present his bid and expected timeline of completion. Upon signing the contract and paying a deposit, production time will be set aside for your project and design drawings will be produced for your approval. 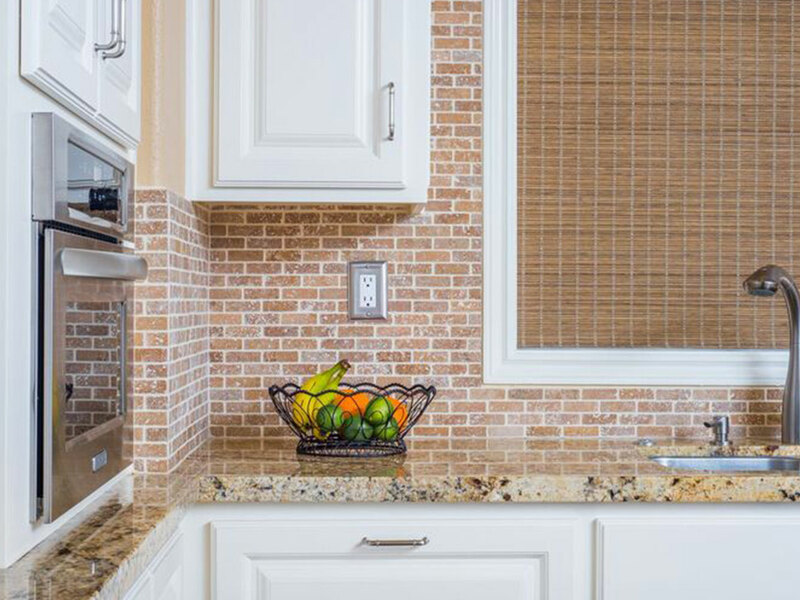 Care is given to purchase the best quality materials and hardware for your cabinets, which are then custom-built by Kintz Cabinets. 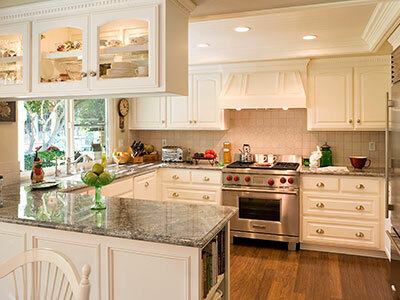 When built, stained cabinets are finished off site by a professional finisher prior to installation, whereas painted cabinets are installed first in your home and then painted in place to attain the best finished product. 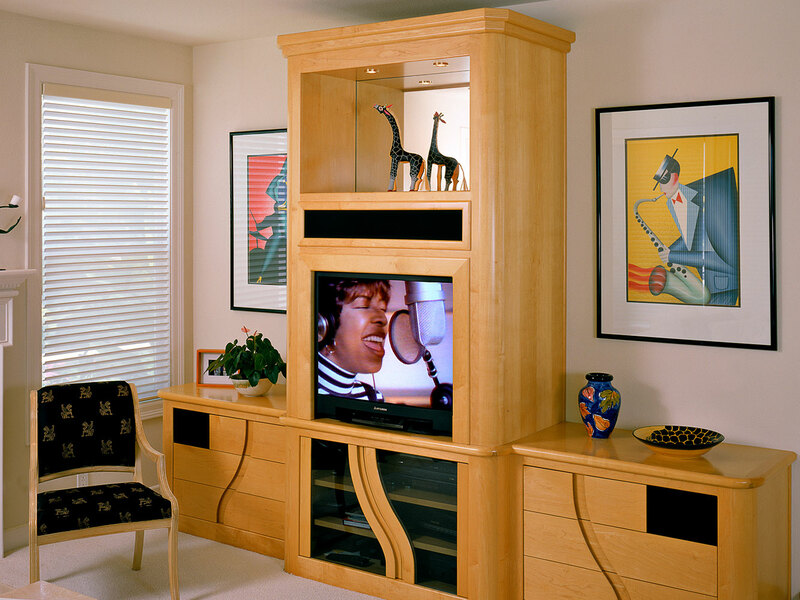 Phil personally oversees installment of all projects to ensure your custom built-ins are handled with care and accurately fitted and finished to the project’s specifications. 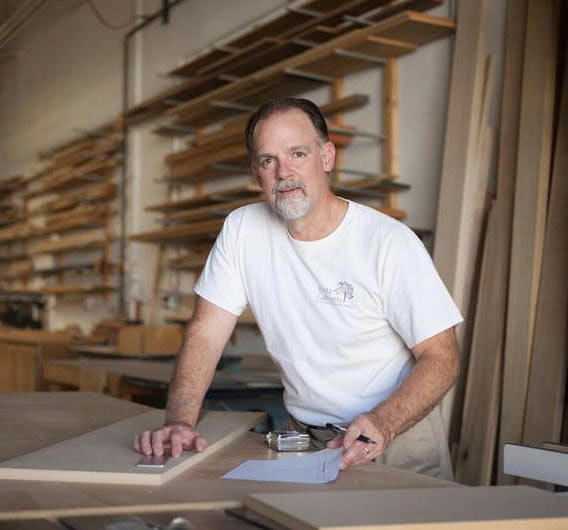 At Kintz Cabinets Custom Woodworking, Phil’s dedication to get it right the first time keeps the process running smoothly and on schedule. 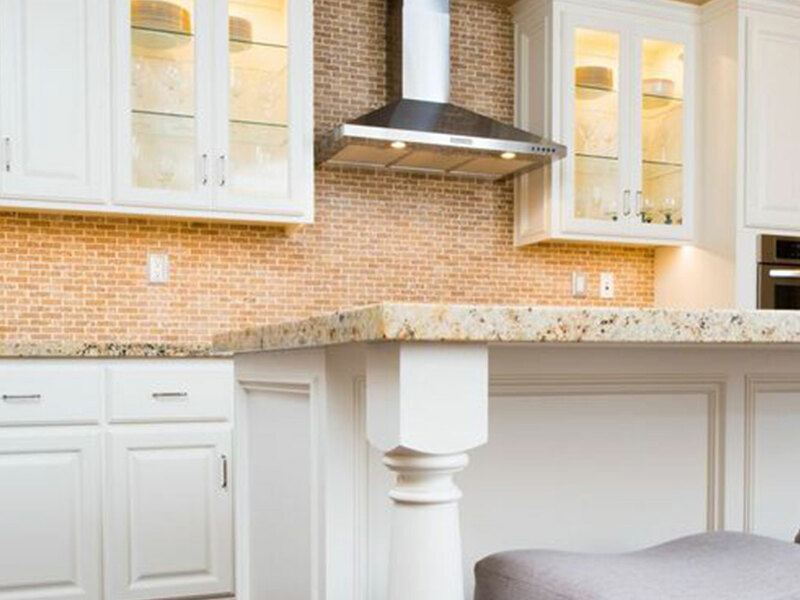 Built-in cabinetry has the power to transform an empty or outdated area of your home into a beautiful, purposeful and well-designed space. 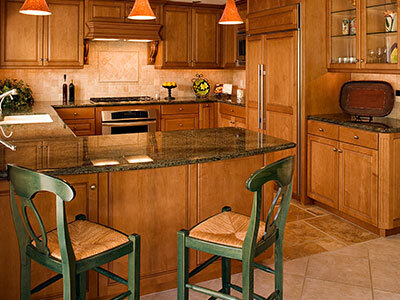 Quality custom cabinetry provides beauty and function in your home and makes daily living more enjoyable. 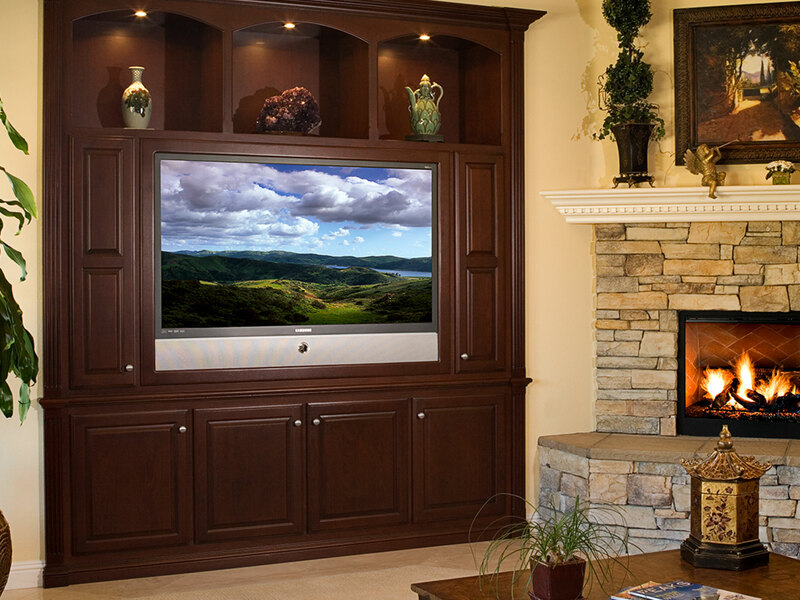 Not only will you immediately enjoy aesthetic and functional improvements, but the benefits will last long into the future, adding considerable value to your home when custom built-ins have been properly planned and executed by a skilled craftsman. 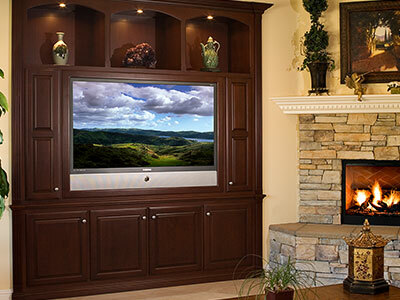 When your project is completed with Kintz Cabinets Custom Woodworking, it receives a level of time, attention, and expert craftsmanship that cannot be matched by big box stores or cabinet warehouses. 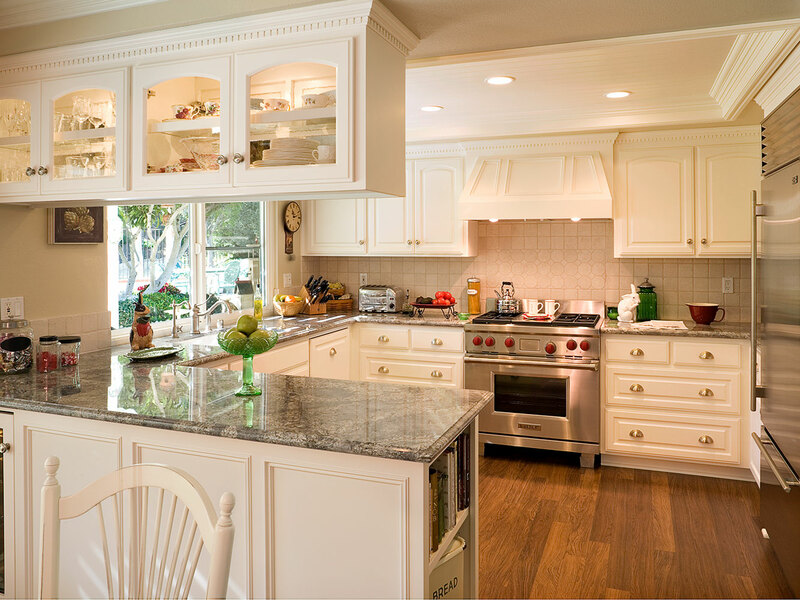 "We have had Kintz Cabinets in three of our homes"
We have had Kintz Cabinets in three of our homes. 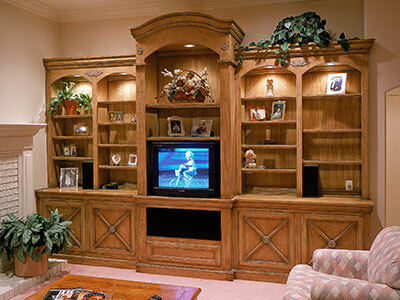 Each one very special and different in style: home office, beach loft, and media room and entertainment cabinets. Thank you Kintz Cabinets for the fine craftsmanship and attention to our changing needs. You make it hard to leave the "furniture" behind. "I just wanted to tell you one more time how much we are enjoying the built in cabinets and drawers you installed in our bedroom"
I just wanted to tell you one more time how much we are enjoying the built in cabinets and drawers you installed in our bedroom. Getting rid of all the furniture was a great idea - the room seems twice the size it was. You matched the grain of the teak so well it looks like one piece of wood. You do beautiful work. Thank you. Master Craftsman. 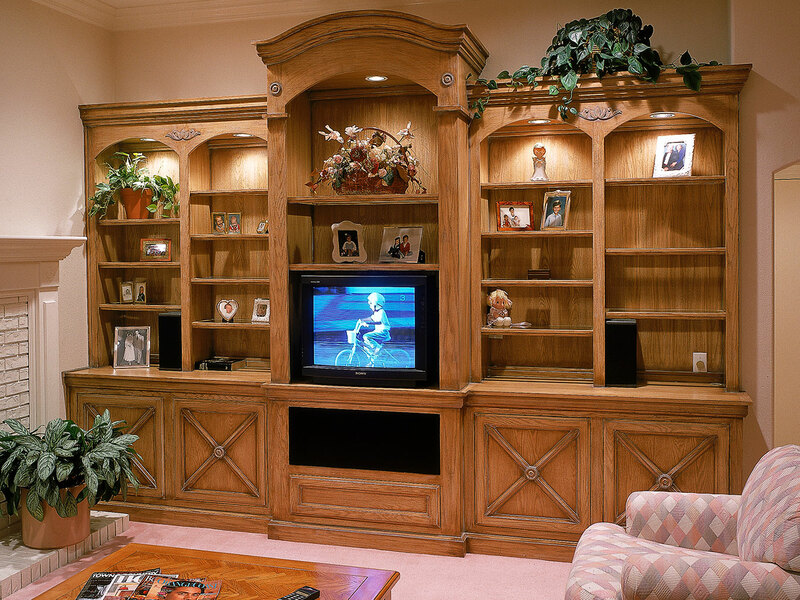 He designed and constructed built in bookcases for our living room. Highly recommended. Thank you so much again. 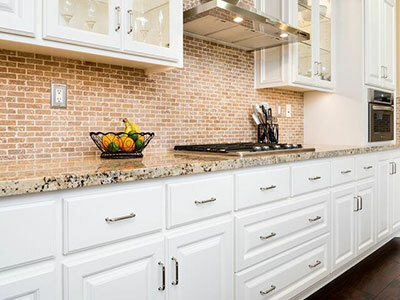 "Phil had many suggestions on improvements to the design I had in mind"
Phil and his crew helped us design and then install a complete new kitchen. Phil had many suggestions on improvements to the design I had in mind, most of which we put in the kitchen. It is very functional, beautiful and unique. "pays attention to every little detail." Phil has done work for us for 20 years, from built-ins in our family room, office, dressing tables/vanities, trophy case and the last job was a master bedroom closet. Phil is very professional, pays attention to every little detail. I would highly recommend Phil to anyone needing work. "We have been extremely satisified with his professionalism, quality of work and service." In 1992, Phil built us custom cabinets and a bar. We used him again in 2013 to build us custom cabinets in our master bathroom and another bathroom. He completed all the jobs when he promised and his work is of the highest quality. We have been extremely satisified with his professionalism, quality of work and service. 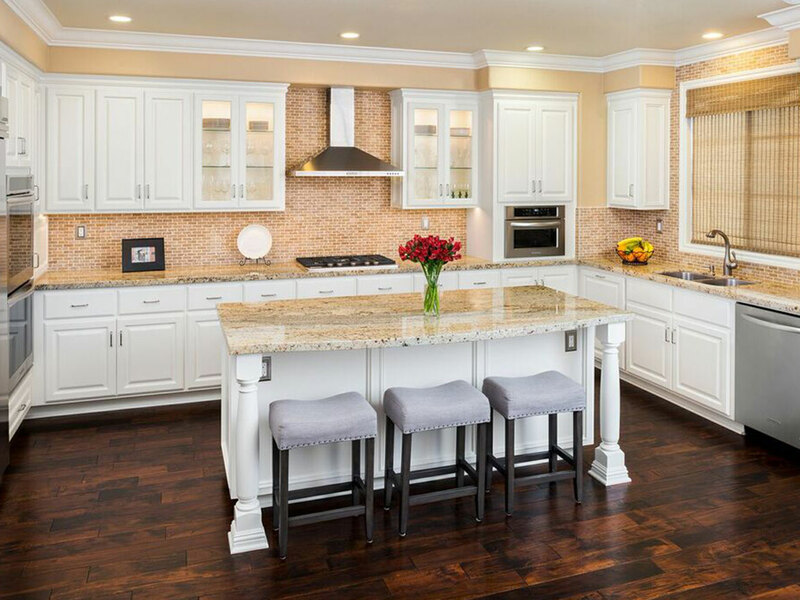 "Phil helped design the kitchen remodel." Phil helped design the kitchen remodel. He helped coordinate all of the other contractors. He did a great job on time for the price he quoted. He's great! 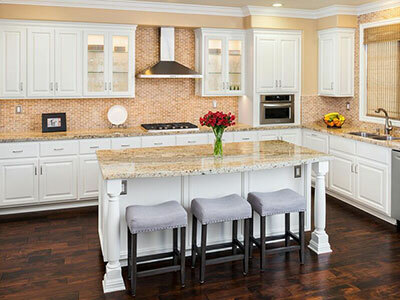 "Each of our hardwood cabinets is a work of art." Phil is a skilled cabinet maker. 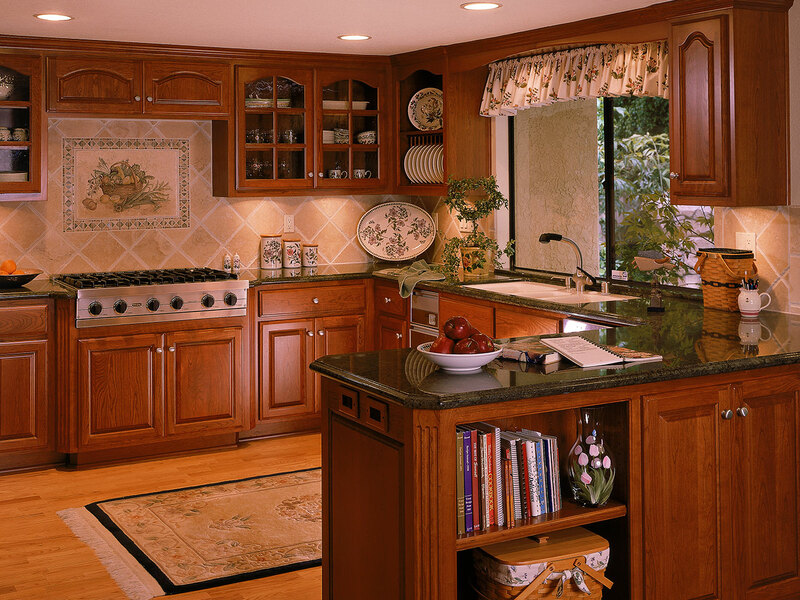 Over the 24 years we have owned our home, he has done a number of projects for us, ranging from building cabinets and bookcases to wainscoting our dining room and study. Phil is easy to work with; he listens carefully and completes his projects on time and on budget. 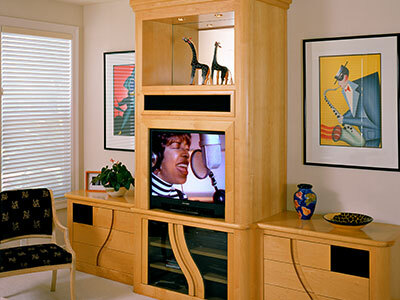 Each of our hardwood cabinets is a work of art. "The jobs were on-time and constructed with the highest quality materials." 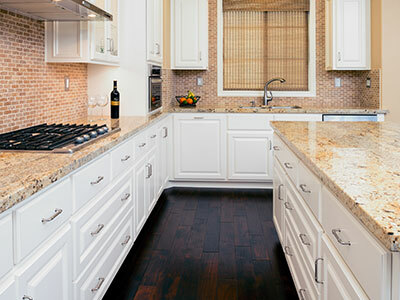 I have used Kintz Cabinets for a major kitchen remodel and a small bathroom vanity. I was 100% satisfied with the beautiful work Phil did with my kitchen cabinets and bathroom vanity. The jobs were on-time and constructed with the highest quality materials. 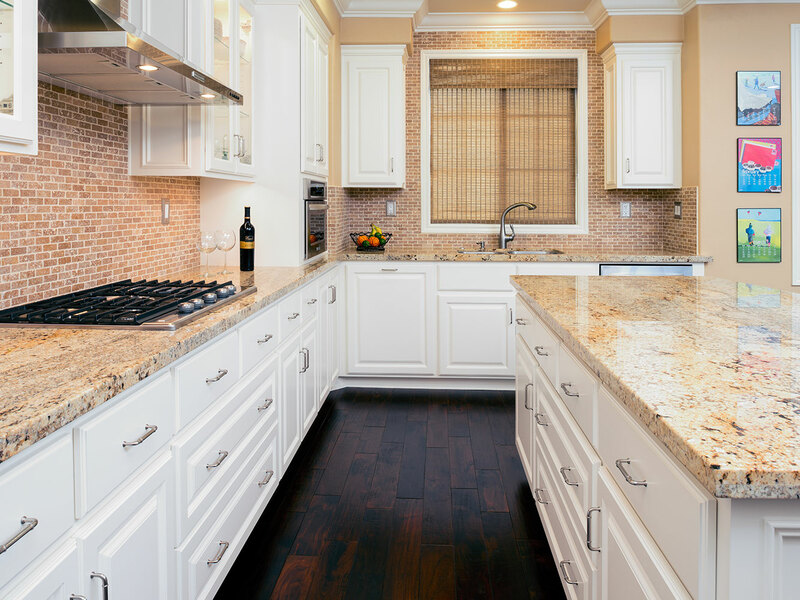 I will use Kintz Cabinets whenever I need cabinetry! "He turned a dead space into a functional mudroom/storage area that looks great." Phil designed and built a tremendous cabinet for me in a hallway to store all of the kid’s shoes, jackets, and backpacks. He turned a dead space into a functional mudroom/storage area that looks great. Phil was prompt, courteous, and has a tremendous attention to detail. He builds the cabinets in his shop, so the interruption to our household was minimal. Thanks again Phil! Looking forward to working with you again soon. 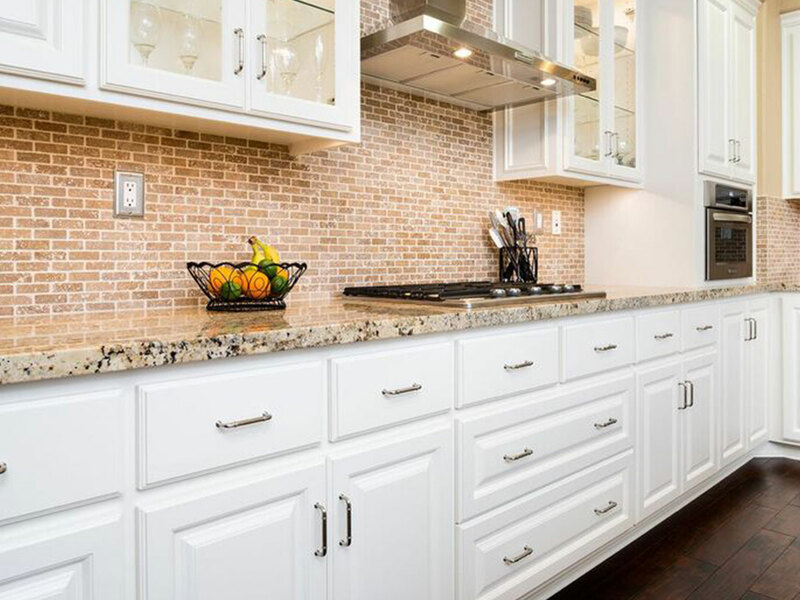 "Kintz Cabinets does an outstanding job in providing a quality product." 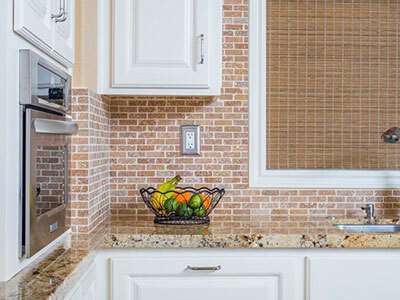 Kintz Cabinets does an outstanding job in providing a quality product. 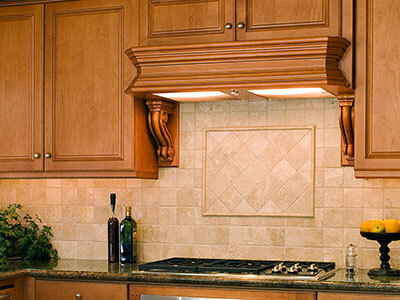 I have hired Kintz Cabinets for several jobs and have been extremely satisfied with the work provided. There is a significant emphasis on detail and listening to the customer's requests. The work has always been completed within the planned timeframe. 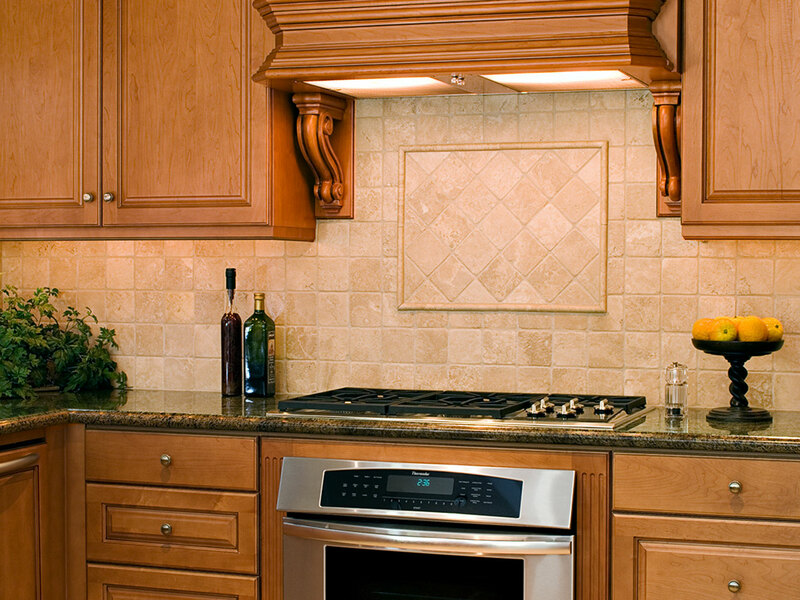 Kintz Cabinets is very professional, knowledgeable, and coordinates with other trades while working on a project. I'd love to hear about your next project! Send me a message so we can discuss how I can help. 5568 E. La Palma Ave.
As required by law, Kintz Cabinets Custom Woodworking is properly CA state licensed (#534491) and bonded. We carry both liability insurance and Workers’ Compensation insurance.